Two Chicago locals, Doug Saltzman and Alec Lehrman, released a new single on September 18th. “Love for Real” is a funk, hip-hop, and pop mashup reminiscent of Prince and J Dilla. This tune originated from a guitar part that Alec wrote last year in Doug’s apartment. Doug interpreted it through a sampler to make a cut-up, tasty guitar track, which sits perfectly above a dirty bass and drum groove that will get your booty moving. Alec’s sweeping falsetto on the hook “Don’t you want love for real,” will linger in your ear. Doug Saltzman, who has worked with B Forrest, Sidewalk Chalk, Mos Def, Gia Margaret, and Sam Trump, is a Chicago producer you should know. Give dug. a shout if you need an engineer who puts the song first. This milestone single is Alec’s last release before he moves to LA. Chicago will miss his stellar guitar playing and kind spirit. Be sure to catch him on the Chicago scene before he leaves. Check out Alec on Instagram, YouTube, SoundCloud and Spotify. The texture shifts slowly as it evolves around Joe’s mantra: ‘taking shape of you.’ This phrase turns into a dedication to movement, evoking new horizons on blank canvases. This mantra nods to the constancy of self despite unpredictable turns that change us. The song reminds me that the world is a changing place and I must adjust with it. The release of ‘Taking Shape’ marks Joe George’s first appearance on Eternal Sound Records label. His self-titled record is going to be released via ESR on October 19th! Help me congratulate Joe by following him on Facebook, Spotify, and Instagram. 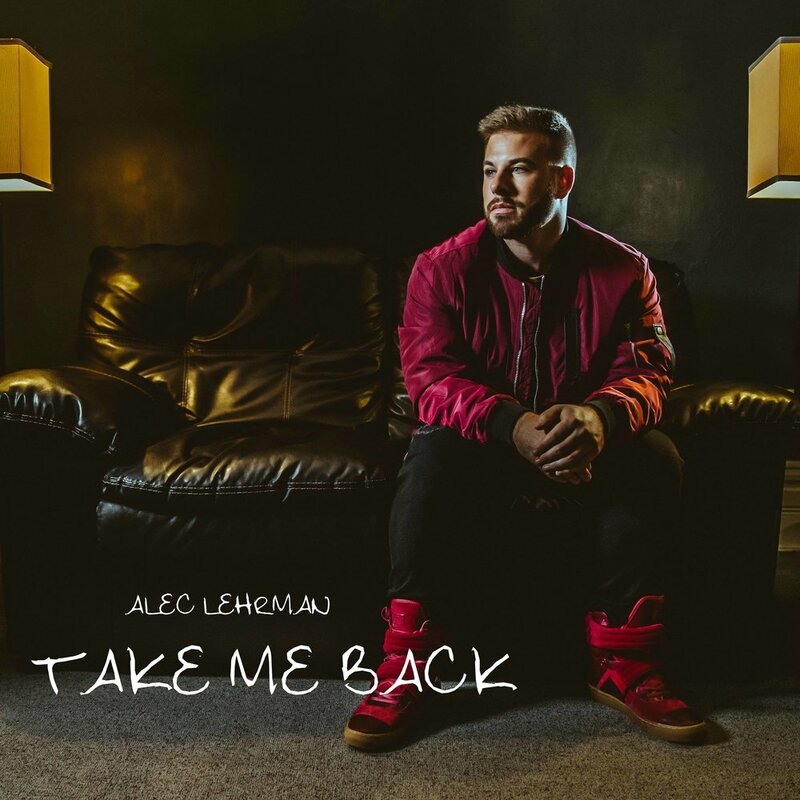 Alec Lehrman depicts a story of love and nostalgia in his new single. “Take Me Back” recalls the doubt in those challenging moments where partners confront an unmet need. We all know how much dedicated work is required to maintain a relationship. At the same time, we've all imagined what it would be like to reach back and relive those easier days of the honeymoon phase. “It’s a reflection on the innocence of meeting for the first time,” says Alec, “hard work is important and so worth it,” but sometimes he contemplates the past. The pocket on this track is reminiscent of Michael Jackson’s Billie Jean, but Alec’s percussive acoustic guitar takes the listener to an entirely new place. “Take Me Back” is infused with flavors of a Justin Timberlake rhythm section, tasty background vocals that harken back to Jackson 5, and lead vocals that contain a twang of John Mayer. Evocative of high school summers by the pool, you will be singing the hook on this chorus for days. Alec continues to be an inspiration on the Chicago scene. His YouTube channel is a substantial resource for badass licks, quick lessons with heavy hitting local guitar players (Anders Nordstrom, Justin Canavan), and short clips of Alec Lerhman’s groove-centric world. “Take Me Back” is available on all streaming platforms. Be sure to follow him on Instagram, YouTube, and Spotify. In Joe George’s second installment of the year, Leave It At The Door, he provides a quiet reflection of the times we live in. Joe’s smooth, buttery voice leaves an imprint of compassion and heartbreak. A slow-moving harmony underpins a wonderful bed for his lyrics to inspire a respite from the everyday. With the sustain of the last chord lingering into a nearly empty studio it brings an open mind and heart to whatever tomorrow will bring with the hope that you will leave your demons and monsters at the door. Thank you, Joe, for the reminder to breathe. With school shootings, fascist leaders, mass incarceration, war, nuclear threats, and distracting headlines that don’t stop it’s hard to take a moment to be with yourself let alone other people. This song is a reminder that on a deep spiritual level we are only human. It reminds us to listen to others that feel differently. Reminds us that the combination of two contrasting opinions can meet in the middle with compromise and transparency. Reminds us that disagreement is natural. Reminds us that we need to have dialogue with each other to understand each other—or better yet—love each other.